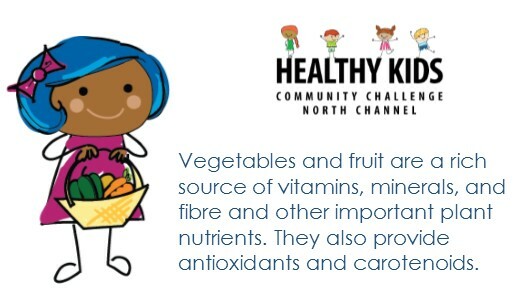 Johnson Township and The Healthy Kids Community Challenge North Channel are supporting the Good Food Box program and encouraging eligible families with children 12 and under to participate. 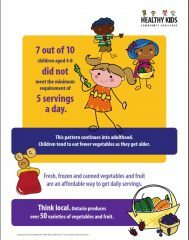 Healthy Kids Community Challenge will pay 50% of the cost from August to December 2017 (usual cost is $20, less 50% = $10 cost/family with children 12 and under). The Good Food Box is a brimming box of fresh fruits and vegetables delivered to you during the 3rd week of every month. It also supports local and Ontario farmers. Sign up by December 13th for pick up on the 22nd. The Township of Johnson would like to thank Liane Davies who, up until now, has been the local volunteer administering the program and acting as the pick up point…the program has grown so much under her watch. Volunteers like Liane help make this community great! Thank you Liane! 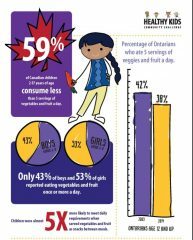 Please click on the images to find out more info about the value of Choosing to Boost Veggie and Fruit.